The last two weeks have truly been a gift. No, I didn't finally get to go to Italy or lose those ten pounds. I went on an adventure, right in my own home. Feeling very grown up and responsible, I headed upstairs to the computer and ordered a new filter. I opted not to order the two-pack, simply because I was feeling cheap. I patted myself on the back for being so amazing at problem solving and returned to my day. 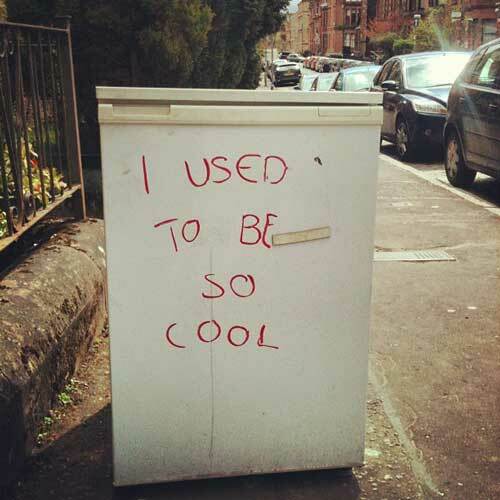 Two days later, the refrigerator decided it was too much work to keep cold. I'm pretty sure it was feeling under appreciated because it hadn't had a bath in a few weeks (months) and was just throwing a fit. I had the girls clean it (they didn't) and started looking on YouTube for solutions. More back patting occurred as I bought a shop vac and cleaned the coils. (Did you know you could do that?) That should do it! (chest puffing and a bit of strutting might have happened.) I also used the new shop vac to clean out the couch. I found a bag of money from a fundraiser my son did five years ago. I was being rewarded for my efforts already! Apparently, having clean coils makes the freezer jealous. It decided to go on strike with the refrigerator side. This is where I really put on my "I'm an adult" hat and called the home warranty office. "Remember that warranty I purchased TO COVER MY FRIDGE?" They didn't remember. Everyone that worked at the company had been afflicted with amnesia that only covered the months around when I purchased the FRIDGE WARRANTY. My adult hat turned backwards and I started yelling. It wasn't pretty, and frankly, wasn't effective either. I called a repairman. The repairman was incredibly helpful. According to him, my fridge was broken. I needed to give him lots of money and he would try to find the part I needed. He assured me that it was a part that was no longer made and it would take months to get it, if it came at all. But, please, give him $700. Don't judge me, but I was skeptical. I called a friend who found the part I was told I needed online for $80. Huh. When I called the repairman back and asked about this miracle, he assured me it was the part I needed but that the online store was full of liars that would take my money and never deliver. Sounded kind of like....well, I told him it was worth a shot! I ordered the part. I might have forgotten to mention that during this saga, my air conditioner went out. No biggie....its only 1000 degrees in Mesa in July. "Just get in the pool, kids!" The home warranty decided they could cover the air conditioner, so they were redeemed and the hit-men were called off. For now. Back to the fridge. After a week, the part arrived! Feeling very smug, I pulled it from it's cute little box and pulled up the YouTube video on how to install it. The lady at the online store had said most people install this part themselves. I figured between me and my brilliant children, we could do this. The weird part was, what I had in my hand and what was on the video was....slightly different. Or possibly, HUGELY different. Poop. My adult hat was crumpled and in the corner. My back was not getting pats. I was ready to throw in the towel. I called a friend and got a deal at an appliance store in town. I went in, picked out a new fridge and set up delivery for the next day. It was money I didn't want to spend, but I was going to be fat and broke if we kept eating out twice a day. No fridge is a big deal, especially in the summer when all you want is veggies! The next day, I got a call during my training from the fridge installation guys. Problem. (of course) The fridge couldn't be installed because the electrical outlet had to be higher and there was water everywhere. huh. I thought I had noticed water in the dining room.... I convinced them to take the old fridge anyway and leave the new one in the garage. I would deal with it later. Pause. Another call. Apparently, when the installation guys had turned off the water main to the house to unhook the fridge, it had frozen and they couldn't turn it back on. That's weird, but okay, I'll take care of it. Fast forward three days. We've been without a fridge and without water at my house. We have all gained ten pounds each from eating fast food garbage, and I've had more repair trucks in front of my house than Mike Holmes. A very nice plumber (dressed to the nines by the way) comes to assess the water main. He cannot figure out why the installation guys touched the water main. He showed me the little valve, complete with INSTRUCTIONS, that turned off water to the fridge. Huh. He was nice enough to write all this information on his bill of $362 to repair the handle on the water main the guys had broken off. I think I'm gonna share that bill with the appliance store. Just for giggles. So here it is, Sunday. It's a beautiful day. I'm feeling thankful for this day of rest to spend with my family and go to church. I feel very blessed that I have a home and running water and health. I've learned a lot over the past two weeks. It takes a lot to care for a home by yourself. It's not my favorite thing, but I'm glad I am able to do it, even when it is hard. I'm also grateful that tomorrow, if I'm lucky, I'll have a fridge in my house again. And this time, I promise to give it more quality time...cause I said so. I love your story! Thanks for sharing cuz you made me laugh AND feel grateful for a lull in repairs...uh oh I shouldn't have said that out loud. Reminds me of us back in April- yikes! We had a flooded garage from a dying water heater (had to buy a new one), a flooded kitchen from a dying dishwasher (had to buy a new one), and a broken dryer! (fortunately that was an easy fix) Hang in there!